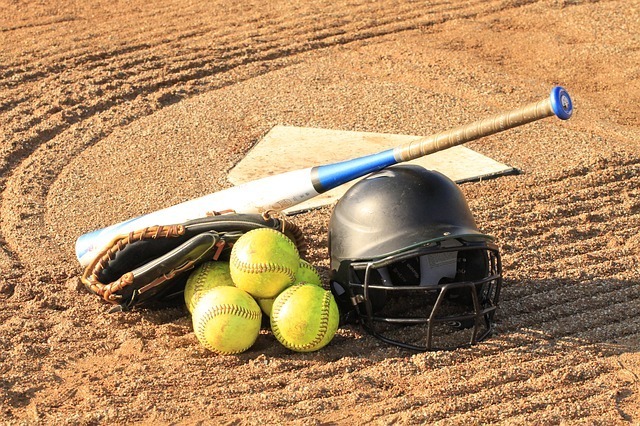 » Softball and Baseball Bat: What’s The Difference? A tale of two sports played in a similar way but yet completely different. Some of the most played sports all over the world and probably more so in The United States is softball and baseball. The word baseball immediately unlocks words like the Yankees, Red Socks and home runs. These are terms that people all over the world immediately understands, no matter your knowledge of the sport. One game less knows but not less popular is softball. Most people do not know the difference between the two, especially if you are not a sports fan. There are many differences between the two games, with the most notable being the bats used. At youth levels, it is very difficult to see the uniqueness of these different bats, as they are designed very similar for players at those levels. The dynamics of the game change when you get to the adult and pro levels, especially with players being much stronger. At these more advanced levels, bats are created to specifically cater for the needs of the two different games. A baseball bat can be used for softball, as long as the length is shorter and there is more weight added to the bat. Softball bats are created for a softer impact, meaning that a softball bat cannot be used to play baseball. Using this bat to play baseball may seem fine at the time, but there is no way the bat would last and withstand the impact of the baseball ball and it is more likely to break or crack. bit more width in the head of the bat. Another big difference with these bats is the weight of it. There are different weight categories in these bats and the reason for the different weight categories is to cater for the speed the player is able to swing the bat. The heavier the bat the more force the player is able to generate when hitting the ball. Softball bats tend to be a little heavier. The reason for this is the fact that the game is a slow paced game and the player has more time to swing when receiving a pitch. There is a smaller range in weight with baseball bats due to NCAA rulings. Weights in bats have been developed over the years and where the weight is placed in the bat can make it feel lighter, while still having a heavier weight. After the difference in lengths of the two bats, the other most obvious difference is the fact that baseball bats have a bigger barrel than softball bats. Baseball bats used at junior and high school levels are 2-5/8″ in diameter. This has changed over the years with a considerable difference to those used in the past. Adult bats are smaller in diameter and are used in more professional games. A big difference in the profiles is how the diameter varies in the bats along the length. Baseball bats are divided into three defined regions, the handle, barrel, and taper. The handle has the same width thought that connects with a much wider barrel that also remains constant throughout. Fast paced bat have barrels that run along almost half the length. This creates a much larger hitting area on the bat. In some adult bats, the handle length is much longer but remains the same width throughout. There is a slight difference in wood bats, where the handle is thicker. This purely designed for more strength in the bat to ensure it does not break easily. There is a big difference in the barrel stiffness of both types of bats. This is better known as the trampoline effect. This difference is due to the properties that create elasticity in softball and baseball. With the difference in the balls, it creates a difference in properties of elasticity. When the ball is pitched in baseball, with impact the ball changes shape, whereas with softball it differs. The effect this has is that when a ball is hit, it the barrel absorbs the impact by denting in and then expanding returning most of the stored energy to push the ball away. The trampoline effect is all dependent on the elasticity properties of the ball with the balls being so different, the baseball ball being harder and the softball ball being softer. The stiffness in a softball bat does not require as much of the trampoline effect as the ball does all the movement and the bat only assists with that movement. So to break this down baseball bats will be stiffer to absorb the harder ball and have more of the trampoline effect, where softball bats do not have less of a barrel stiffness so that when the softer ball is hit, the trampoline effect works more on the ball and not so much on the bat. These two sports are played in a very similar way and while most people will not understand the uniqueness between the two sports, there is a big difference in the gear used for each sport. Choosing a bat is not the most complicated process, if you understand and know the difference between the two different sports, the rest is all up to you and what you feel comfortable with. Some players might prefer a heavier bat or some might prefer a longer bat. Choosing the perfect bat for you might take some time to ensure you have the right one. But as soon as you have the right one, those home runs are set to come fast. Two different sports played the same way but yet completely different. A tale of two sports played in a similar way but yet completely different.